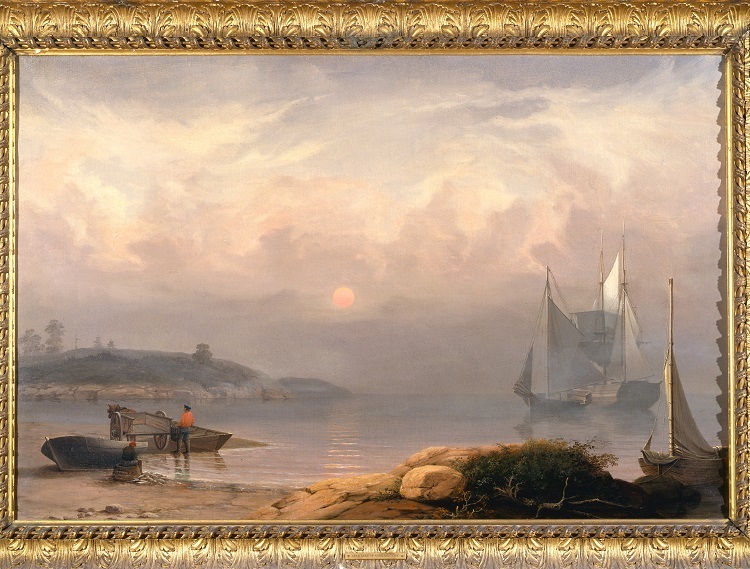 A landscape painting showing a harbor at sunset with a bright red sun and a hazy mist with sailing ships and a man in red and a row boat. Frame is gilt with a lamp on the top. Elaborate foliate edge and gadrooning.